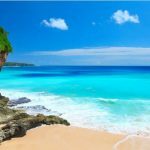 Best beaches in Bali — Top 15 best beaches in Bali - Living + Nomads – Travel tips, Guides, News & Information! 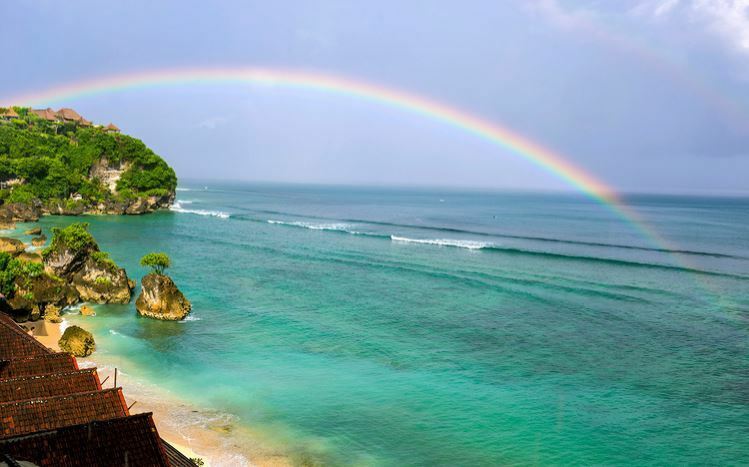 Bali, Indonesia is a tropical paradise home to some of the best beaches in the world. 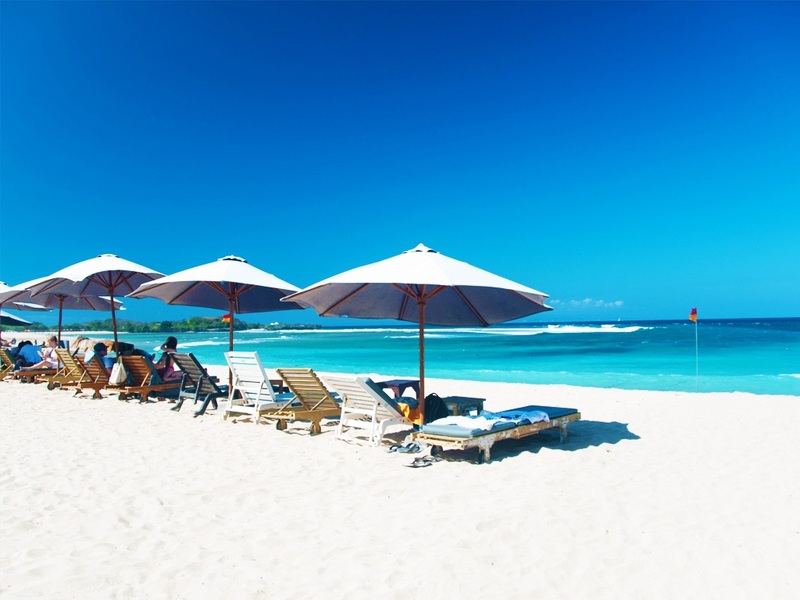 To help you navigate your way around paradise, here is a list of the top beaches in Bali. 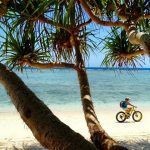 Let’s discover best beaches in Bali — Top 15 best beaches in Bali with Living Nomads below. 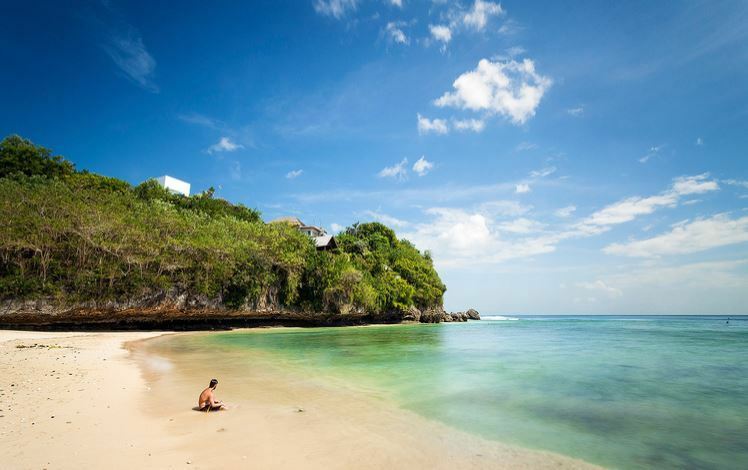 Bali is both an island and a province, and the province also includes some smaller islands as well. 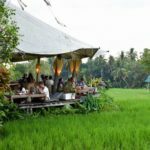 To keep things organized, the best places to visit are categorized into the best popular beaches, best hidden gems and best beaches on the smaller islands of Bali. 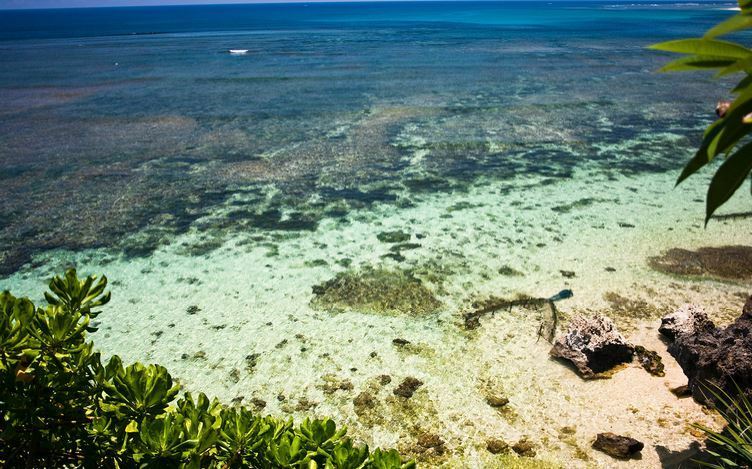 Lining the island’s eastern shore, this beach is a hit with divers due to its thriving underwater scene. 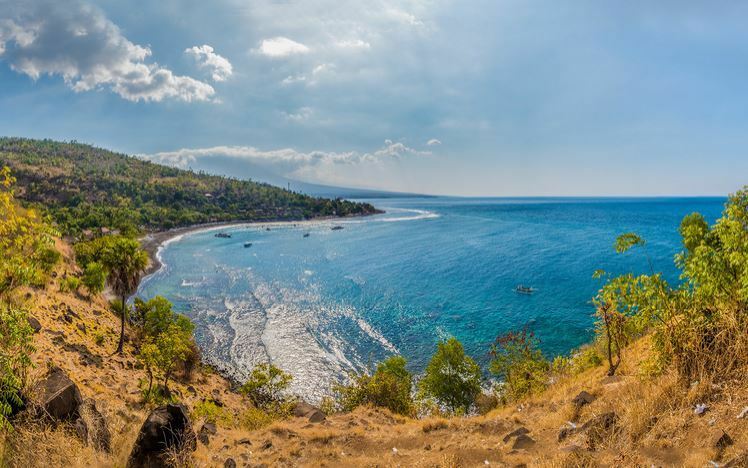 The surrounding area is filled with coral and multiple shipwrecks, and unlike some of Bali’s busier beaches, Amed provides a more authentic view of local life, where salt mining and fishing are still incredibly prevalent—as proven by the many outrigger boats lining the black sand. The waves can get quite high at this beach, making it popular with surfers. Swimmers, on the other hand, should take caution. 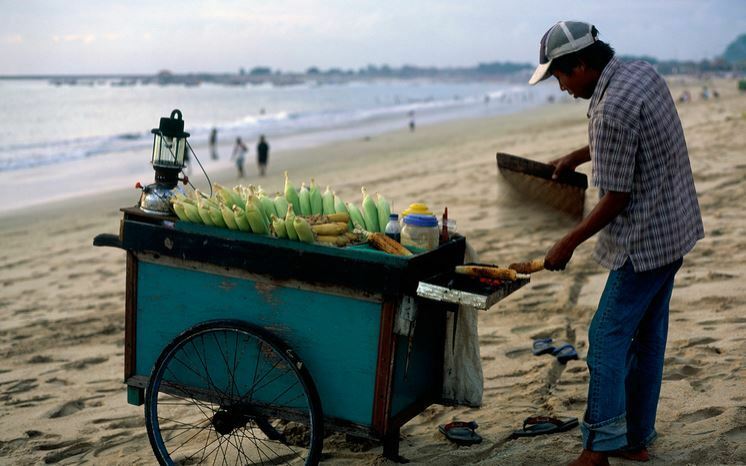 Rough water and a sharp ocean floor mean that most beach-goers prefer to munch on snacks from a local warung and admire the view. Those who choose to sit back on the cliffs can snag some breathtaking photos. 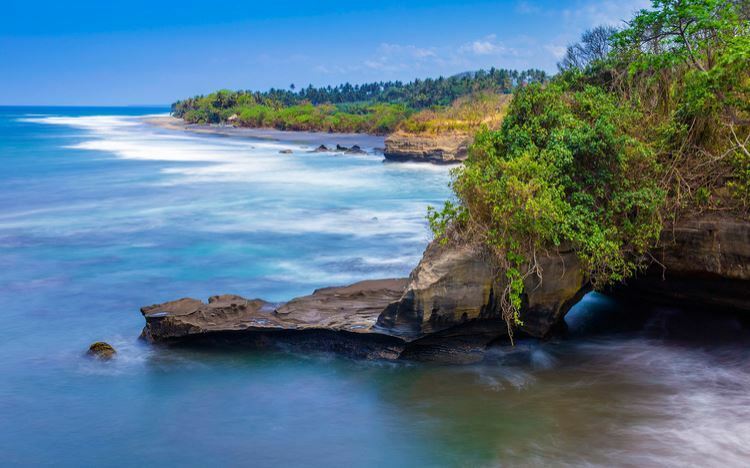 Balian’s black sand fills the beach’s dunes and provides an escape from Bali’s more bustling areas. Those looking to surf can easily rent a board or use their bodies to rides the waves to shore. At dusk, grab a beer and enjoy the sunset view. Finding this beach is a real challenge—it’s tucked away and is only accessible through a rough and rocky path—but the effort is totally worth it. You’ll practically have the white sand, coconut trees, and turquoise water to yourself. Take advantage of the solitude. 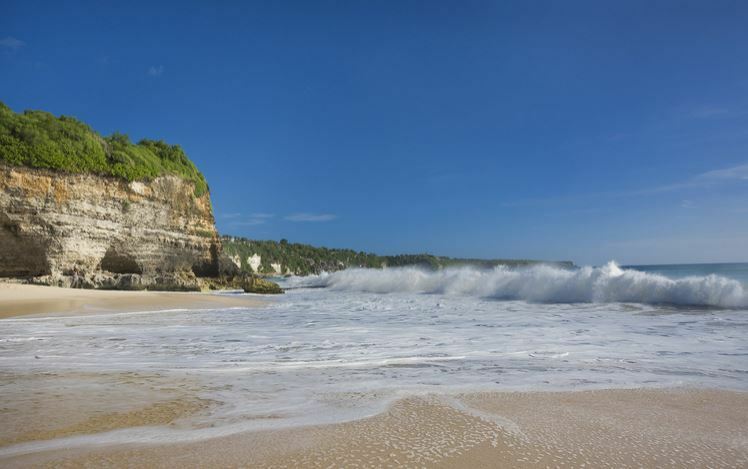 The white limestone cliffs serve as a dramatic contrast to the blue waters at this small surfing beach on Bali’s Bukit Peninsula. 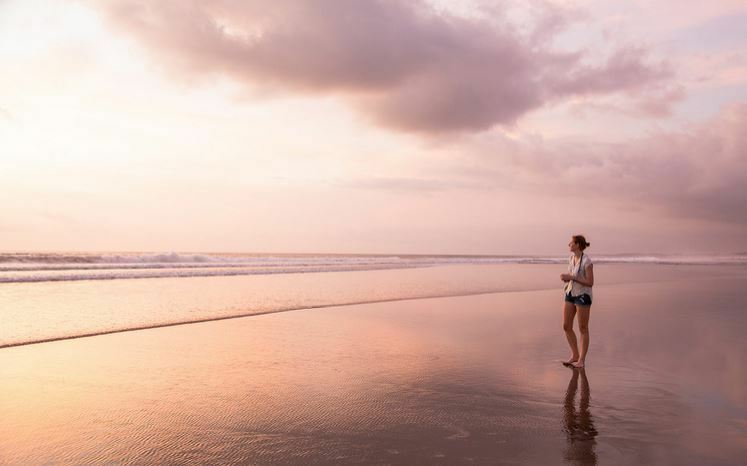 Visitors can choose to stay in everything from surfing camps to boutique resorts and private villas, making it a place for people from all walks of life. The isolated location is ideal for those looking to get away. 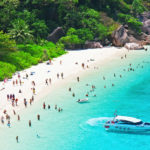 Many have been deterred by the major resorts popping up around Dreamland, but the beach itself is still worth a visit. The soft white sand serves as a comfortable place to sit back and watch as skilled surfers ride the waves. 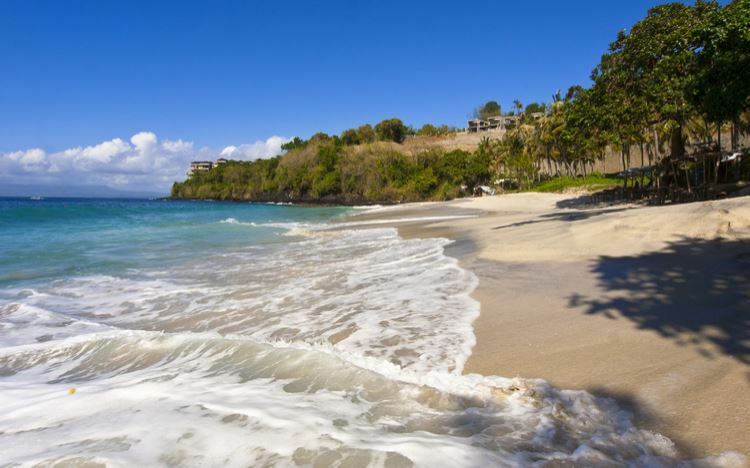 If you’re looking for a beach that has it all, this one is for you. 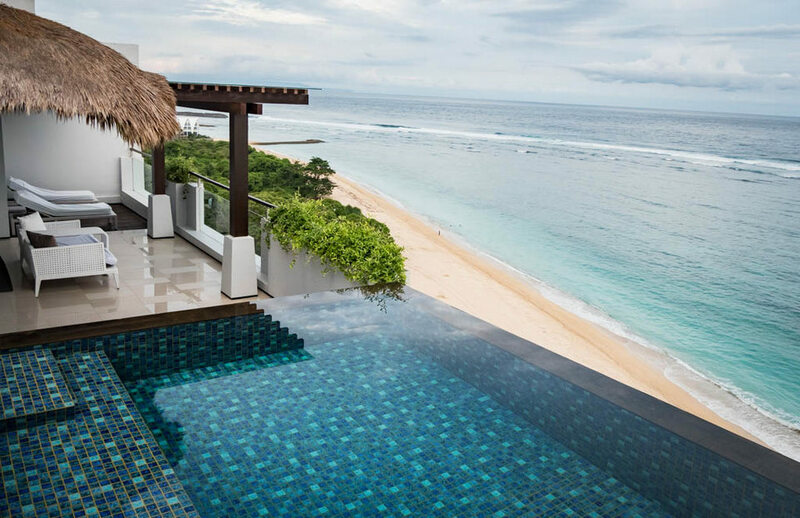 The surrounding area is filled with five-star resorts like the St. Regis Bali and the Mulia, not to mention the 18-hole golf course across the street. The water is typically calm, which makes the many available kayaks, dinghies, and paddleboards hot commodities. 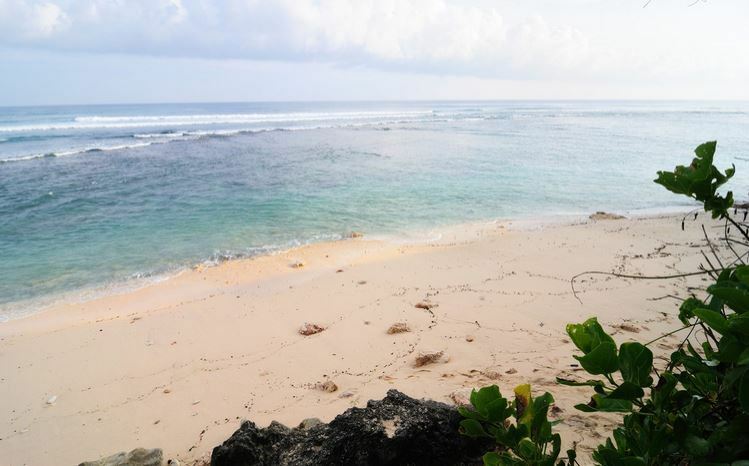 This secluded beach stays consistently empty, as the hundreds of steps to reach it are enough to keep large crowds at bay. That means beautiful untouched gold sand and plenty of areas to swim in. The caves nearby provide welcome shade on a hot day and the shop at the top will serve as a reward after make your way back up. 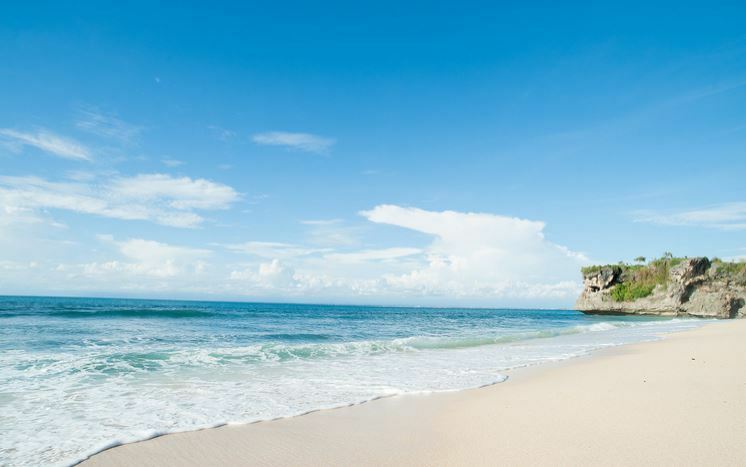 Jimbaran Beach sits on Bali’s southwestern coast, where the mainland connects to the Bukit Peninsula and plays host to many luxury resorts like the Four Seasons and the Intercontinental. Restaurants line the shore with tables on the sand, most offering some sort of seafood feast to accompany a beautiful sunset. Unlike Green Bowl, the descent to this exclusive beach is made in a funicular (for a small fee) rather than by stairs. Needless to say, visiting Karma is quite a treat. Services include everything from signature cocktails to shaded lounge chairs, as the area belongs to an exclusive club. Thankfully, members of the public can access it with a reservation or as walk-in guests. 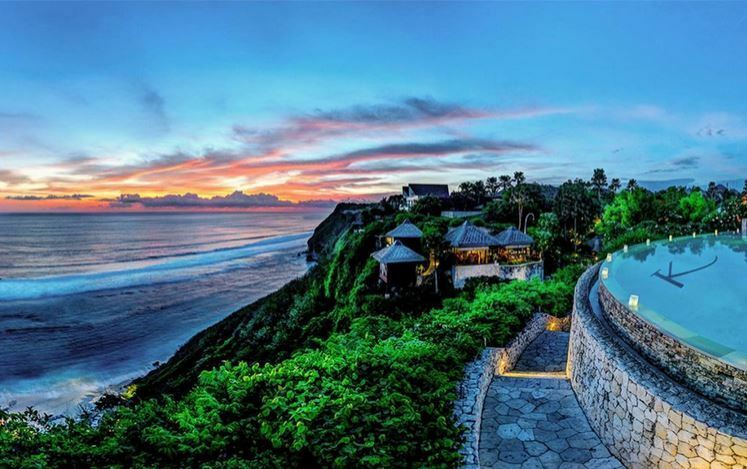 Conveniently located a few minutes from the Ngurah Rai International Airport, Kuta sits in a bustling resort town that was once a quiet fishing village. Now, surfers and surf wannabes from all over the world come to ride the long waves and take lessons from the many schools along the beach. Additionally, the loud club scene draws plenty of partiers year-round. This is another hidden gem that requires some work to get to. Once you find the gate, you’ll walk down plenty of stairs before emerging at the deserted beach. There are no showers, no restrooms, and no vendors, so you may want to pack a sandwich and some water for the day. Its simplicity is what makes it great–no frills, just a beautiful beach. 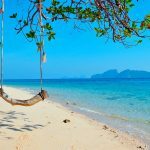 Surrounded by Bukit’s high cliffs, Eat, Pray, Love fans will instantly recognize this beach as the place where Julia Roberts’ character meets her love interest in the film. 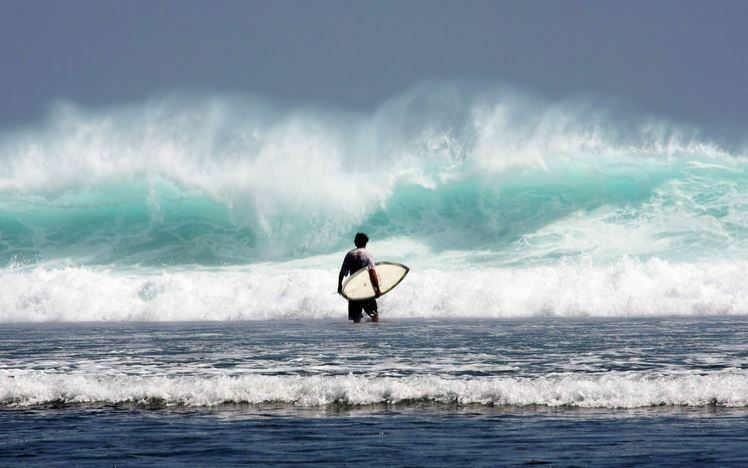 The water is safe to swim in and the surf is some of the most exciting in all of Indonesia. You’ll have to work a bit to enjoy it, though, as it’s a bit tricky to find—you’ll have to squeeze your way down narrow pathways. 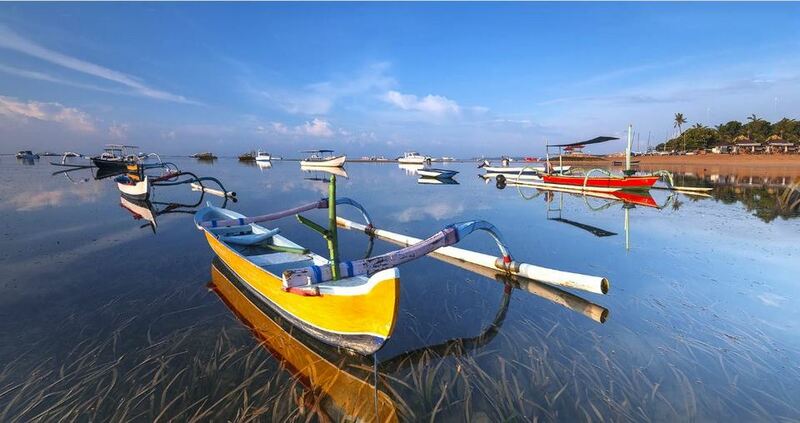 Sanur serves as the opposite of more touristy areas like Kuta, though there are still plenty of beachfront resorts to choose from. Here, you’ll find the small fishing village charm still intact, with local warungs holding their own against luxury hotels. 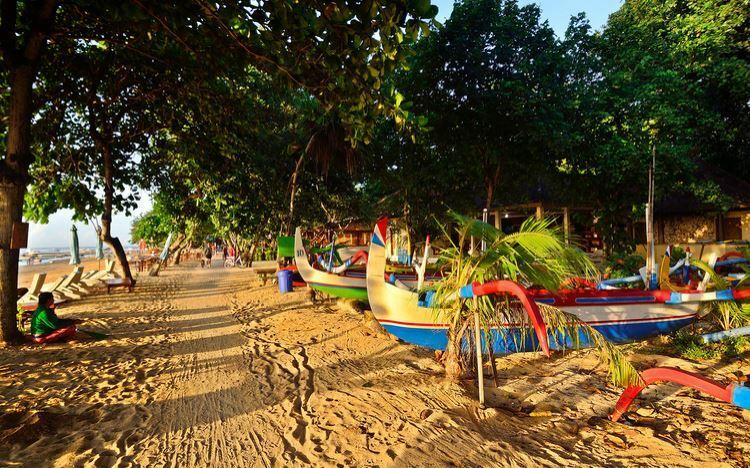 The atmosphere is laid-back and the water is great for sailing and kite surfing. 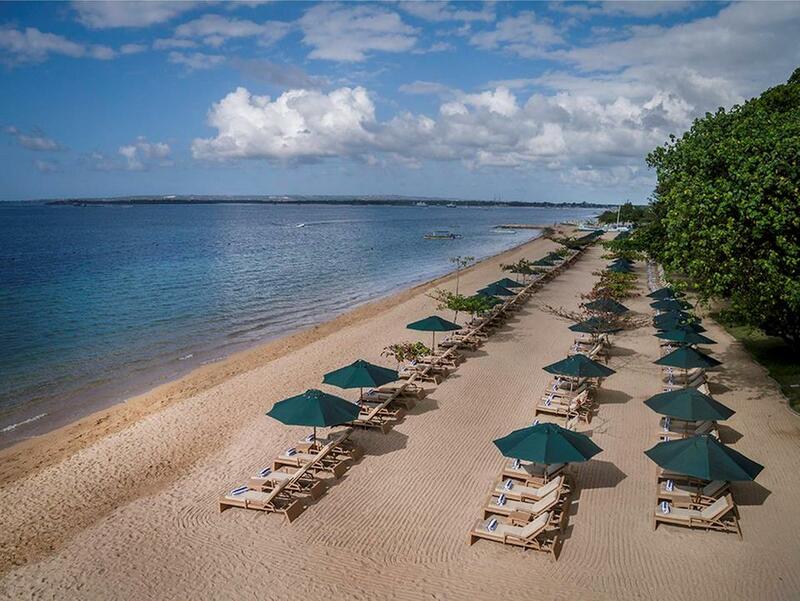 Nusa Dua beach has many luxury hotels built around it. There are a variety of flowers and plants that grows around here. 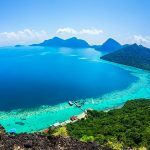 Imagine tall palm trees, wild mangroves, fragrant trees and orchids amidst clear blue ocean and rolling golden sand. Yes we are almost describing paradise. Swimming here is great as the currents and waves are low. The water is crystal clear for snorkeling. For surfers, head on to the south or north ends for higher waves.